No one could accuse Lois Dutton of not taking risks. The 37-year-old singer and dancer has been to every far flung corner of the world doing what she loves best – performing in front of an audience. Lois spent more than 10 years travelling the globe working in Egypt, India, Beirut, Mexico, Italy, Turkey, Spain, Portugal and Nigeria to name but a few. Her biggest gamble was working as a dancer in a Mexican circus where everyone spoke Spanish, and she had to pick up the language as she went along. But she doesn’t regret the move for one minute, because it’s where she found love with another daredevil, Rodrigo Perez. Rodrigo risks life and limb on a daily basis as a human cannonball. He has been shot from a specially designed cannon more than 3,000 times and appeared on TV and in newspapers worldwide. The couple got married in Chile, where Rodrigo hails from, but now live in Whiston, Staffordshire with their 18-month-old daughter, Amara. They run a company called The Official Human Cannonball UK and appear at shows and events across the country. Lois ejects Rodrigo out of the cannon, which he designed himself, and watches nervously as he flies through the air. Now however it’s Lois’s time to be in the spotlight. She is about to pass her passion for dance onto a new generation and has become a babyballet franchisee in Stoke On Trent Central, Stone and Blythe Bridge. Lois, who has been teaching dance on and off for the past 20 years in between performing, knows personally about the benefits of dance from a young age. She started dancing as soon as she could walk and has a theatrical background, appearing in local operatic society shows as a teenager. After A levels, she took dance teaching qualifications and also went into choreography. 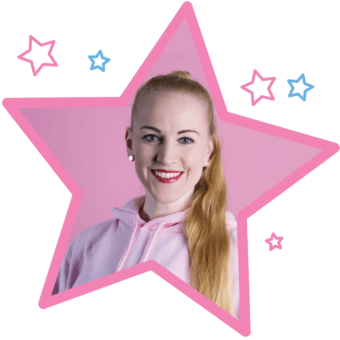 She has choreographed for theatre companies and performing arts schools across the country, for shows at theatres across the UK, Disneyland Paris and Her Majesty’s theatre London. She says dance not only helped her confidence, but made her lifelong friends and gave her the opportunity to travel. Her classes, for youngsters six months to six years, started this month (Jan) and will be a family affair with Lois teaching, Amara attending and Rodrigo helping behind the scenes. The response has been amazing and she has plans to offer babyballet parties and do a yearly show. “Ideally if the business takes off I will employ more staff and move into other areas. I’m really excited about my new business venture and can’t wait to get started,” says Lois. Anyone who would like more details can contact her on 07818424117 or stokeontrentcentral@babyballet.co.uk. 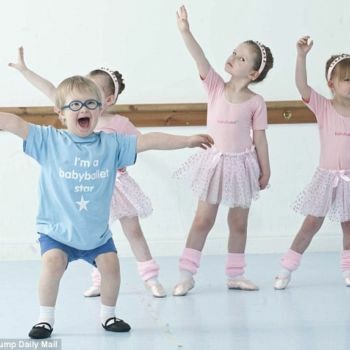 For more information and to view the babyballet Stoke on Trent Central, Stone and Blythe Bridge timetable, click here.